Believe it or not, London is filled with a huge amount of beautiful open spaces and Regents Park, St. James Park, Hampstead Heath and Holland Park rank as some of the most picturesque. 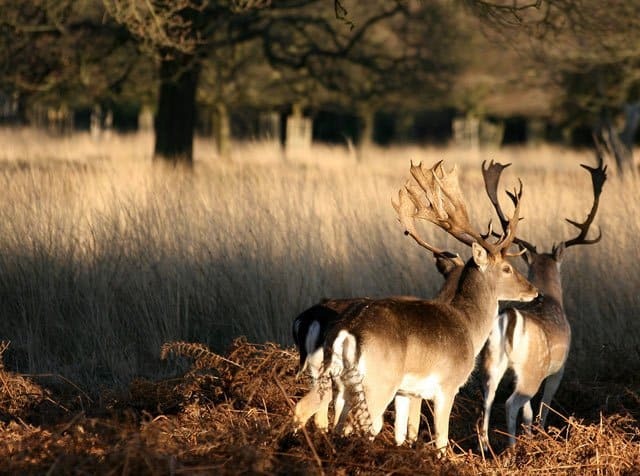 We’ve chosen to mention Richmond Park, a 2,500 acre site of historical and special scientific interest located in arguably the most picturesque part of London, the elegant and leafy South West. Originally established by Charles I in 1637 as a hunting area the park today, with its ornamental gardens, ancient oaks and 600 red and fallow deer roaming freely, still manages to retain a faint medieval air. A very popular spot especially in summer, locals and out-of-towners come here for picnics, quiet walks, lazy scenic drives and of course, the obligatory deer-watching. The southwest counties are especially popular with holidaymakers, but tourism still hasn’t managed to spoil the chocolate box pretty villages that reside here. 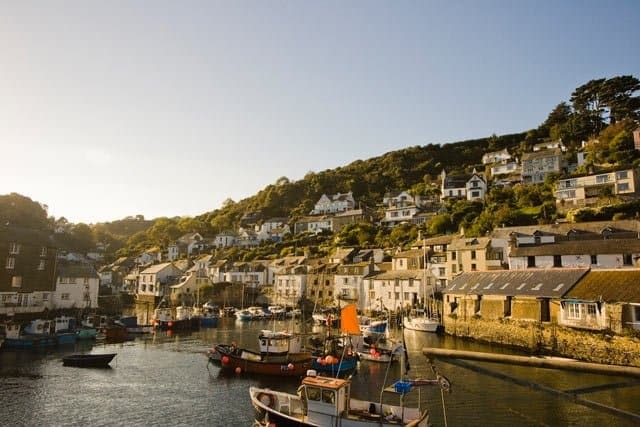 Polperro (located in South East Cornwall) with its narrow winding streets and cottages perched on steep slopes overlooking a tiny harbour is everyone’s idea of a picturesque Cornish fishing village. Sheltered from time and tide in a cliff ravine, Polperro is often cited as the prettiest village in Cornwall – which given the competition is quite an accolade. Perfectly preserved and beautifully presented, the area known as the Cotswolds is chock full of images of an England that time forgot. A large place which has been designated an ‘Area of Outstanding Beauty’ it actually spreads across six different counties – all the way from the Chipping Campden to the south of Bath, but the majority is located in scenic Gloucestershire. Its chocolate-box pretty villages and truly stunning unspoilt countryside are practically spilling over with honey-coloured stone mansions, gorgeous thatched cottages, ancient churches and cream tea shops galore. Arguably one of the country’s most dramatic landscapes, Glen Nevis is an exceptionally beautiful part of the United Kingdom. 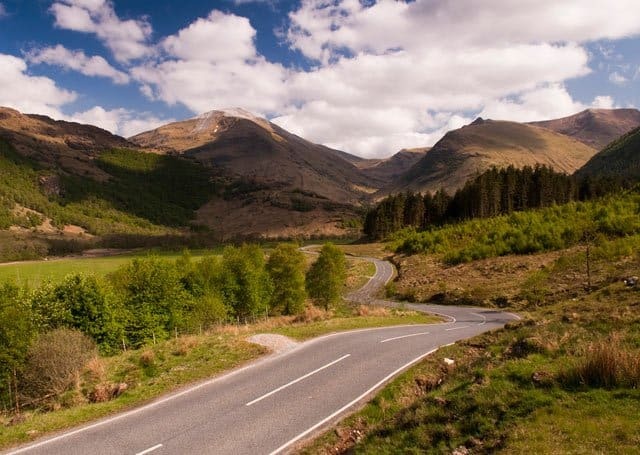 The stretch of ancient unspoilt scenery, overlooked by Ben Nevis (Britain’s highest mountain), is perfect for peaceful walking and truly getting away from it all. 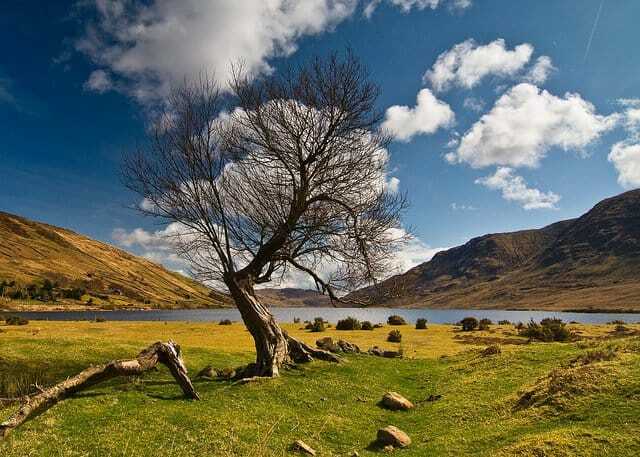 This area is also great for wildlife watching and film location visiting – many key scenes from Braveheart, Rob Roy and Harry Potter were shot here. In fact all of the Scottish Highlands are outstandingly beautiful and if you can you should take your time to explore its crystal clear lochs, ancient castles and unspolit coastline. The Lake District is a mountainous region in North West England and a very popular holiday destination for nature lovers. Most visitors flock to the tourist hubs of Keswick, Windermere and Kendal but also consider but the deepest lake in England – Wastwater. It has the most remote location of all the lakes but many believe it’s easily worth the extra effort to get to. 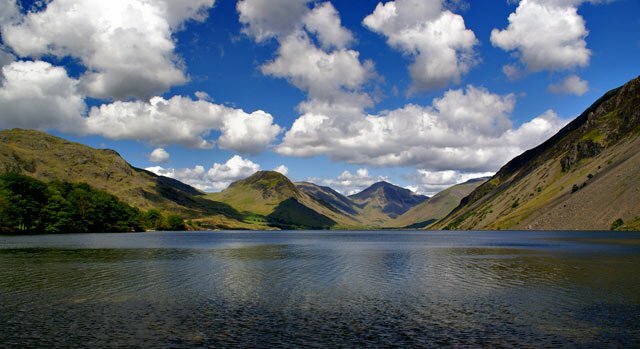 Once voted Britain’s ‘favourite view’ Wastwater is hemmed in by some of the highest peaks in England and surrounded by some of the Lake District’s most beautiful scenery. 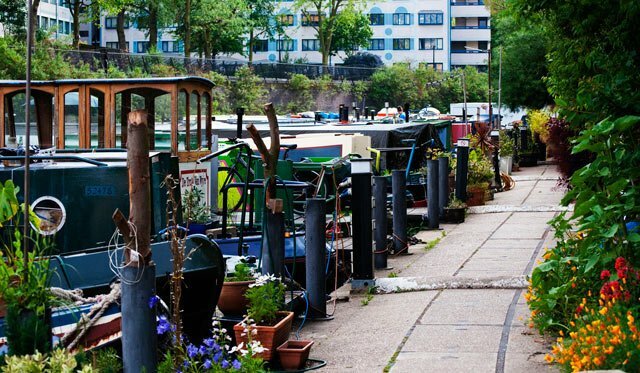 The affluent district of South Maida Vale is interspersed with a series of picturesque waterways and the area where the Grand Union and Regent’s Canals meet is affectionately known as Little Venice – if you visit you’ll find out why. The London backwater idyll is dotted with colourful houseboats, waterside pubs and some superb restaurants – a peaceful oasis in an otherwise very busy city. Take a walk along the towpath, picnic along the banks or charter a narrowboat for a perfect afternoon out. 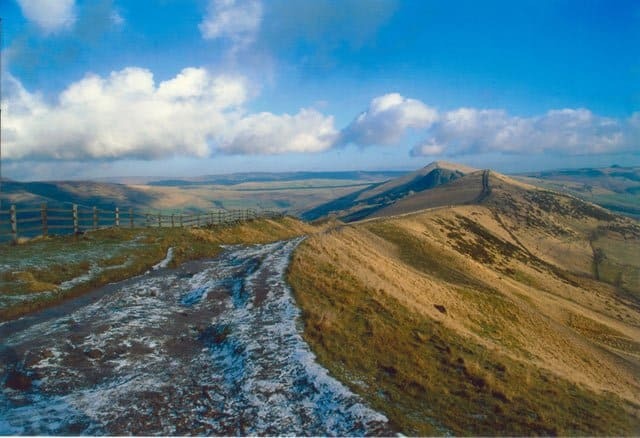 The Peak District is the second most visited national park in the world characterised by wild rugged landscapes, pretty villages, grand historic houses and dark caverns. Hope Valley takes up a large area in the centre of the national park and offers unusual, dramatic landscapes and some of the most beautiful scenery in England. In the pretty village of Castleton – also known as the ‘Gem of the Peak’ – you will find traditional stone cottages, a beautiful mountain, show caves and an attractive ruined Norman castle. The nearby ancient village of Hathersage has associations with both the legend of Robin Hood and Charlotte Bronte’s famous novel Jane Eyre and also makes for an interesting stop. 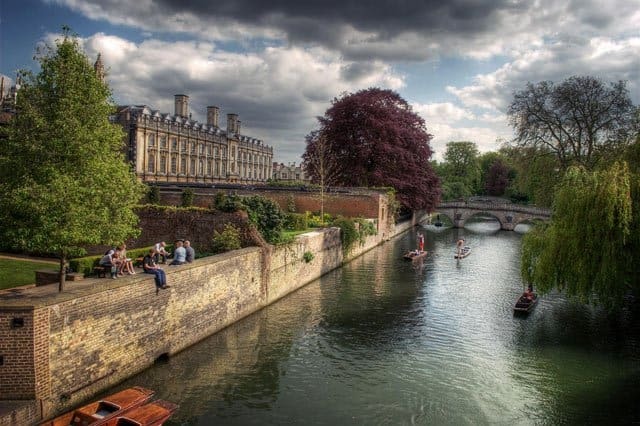 The university town of Cambridge epitomises quintessential Englishness and here punting on the river and sipping Pimms on the perfectly manicured lawn is an enduring local summer pastime. The beautiful buildings are well preserved and the timeless city seems straight out of the scene form the 1950s – the preppy look seems de rigueur and most people travel everywhere by bicycle. Try the omnipresent punting as one of the most romantic ways to see the town’s main highlights. This world heritage site which can be found on the southern coast of England is easily one of the most beautiful places to visit in UK. 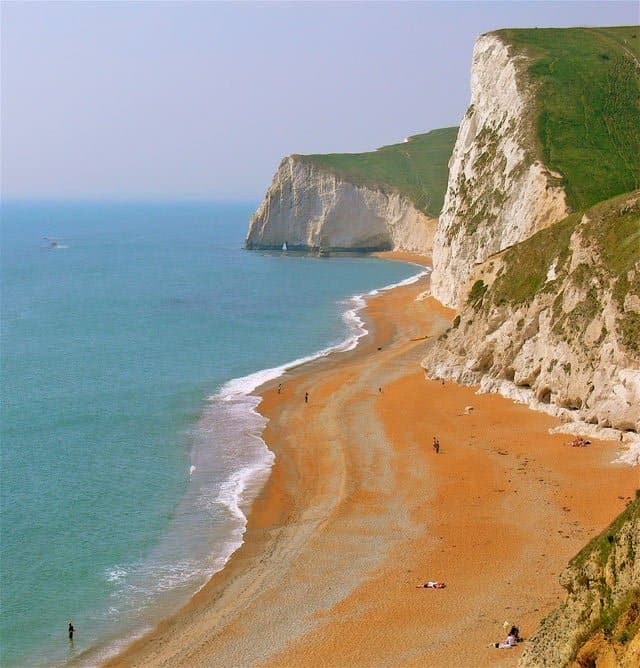 The 140 million year old Jurassic coast – voted the 5th greatest natural wonder in Britain – stretches over a distance of 96 miles starting from Orcombe Point near Exmouth in East Devon to Old Harry Rocks near Swanage in East Dorset. The scenic area is home to popular beauty spots such as the natural limestone arch of Durdle Door (the coast’s most photographed landmark) and Lulworth Cove – one of the finest coves in England. The Jurassic coast is also used for many film scenes including the big screen adaptation of Thomas Hardy’s novel ‘Far from the Madding Crowd’ and ‘Wilde’ starring Stephen Fry. Pretty llanberis village can be found in the popular Snowdonia National Park in Wales. Nearby, twin lakes cut through a vast mountain range creating the magnificent ‘Llanberis Pass’. 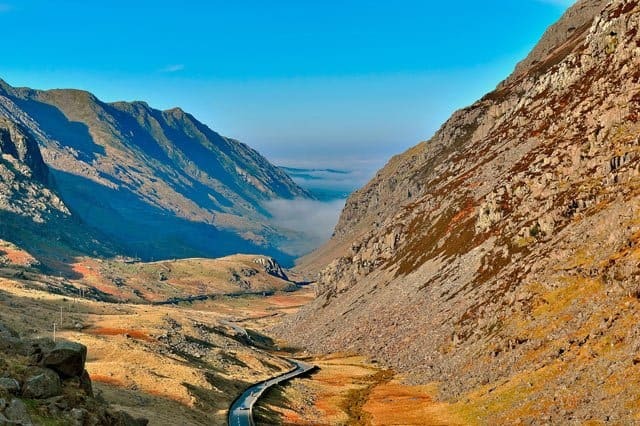 The Lllanberis Pass is a truly impressive place noted for its wild and rugged beauty and well as its extraordinary tranquillity. The unique glaciated valley and world-class climbing spot attracts drivers, ambitious rock climbers and the odd photographer or two. Of course, it’s impossible to mention all the beautiful places in the United Kingdom in a Top 10 list. Other areas you should consider are beautiful Kent (otherwise known as the garden of England), the scenic unspoilt landscapes and coastal towns of Devon, the underrated Chiltern Hills, the ancient woodlands of the New Forest, the rolling hills of the South of England’s North and South Downs, the rugged landscapes of the Yorkshire Moors, the elegant university city of Oxford and Northumberland – the most unspoilt area in the whole of England. Enjoy your beautiful UK stay! Bit of an Anglophile? If you liked 10 of the most beautiful places to visit in the UK, we also have posts on 10 of the prettiest villages in England, cool hotels in London and the best boutique Hotels in Brighton. Totally agree, I was in Cambridge on Sunday, so beautiful! I’ve been to nearly all of these places, love the Cotswolds and Richmond Park. Little Venice is just down the road from me, just a quick hop on a long boat down the canal. 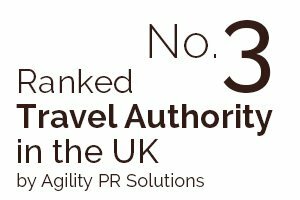 Only a few more to tick off them 😉 Pleased you like our list! Visited few of them and I totally agree! but I would put in your list even some coast cities like Whitstable and Herne Bay, such lovely places!! Richmond Park and Little Venice! Are you having a laugh? Where is the Yorkshire Dales. The Trough of Bowland in Lancashire. The Gower Peninsular. Devon and Northumberland. Nowhere in London is worthy of this list. Nowhere in the South East is either. 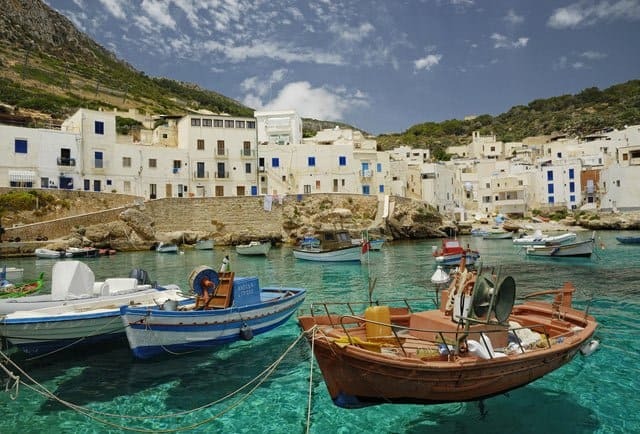 Oh how nice sceneries,the pictures make me want to go to these places and check these places out!Thanks for making these wonderful scenerises list. WOW! I never new the United Kingdoms had such beautiful sights! I will be visiting some of these sights soon because of a trip we have planned in July. So excited! You missed the Yorkshire Dales off this list. Wensleydale and Swaledale have some fantastic and dramatic landscapes that definitely rival the Peak District. Good list, though. 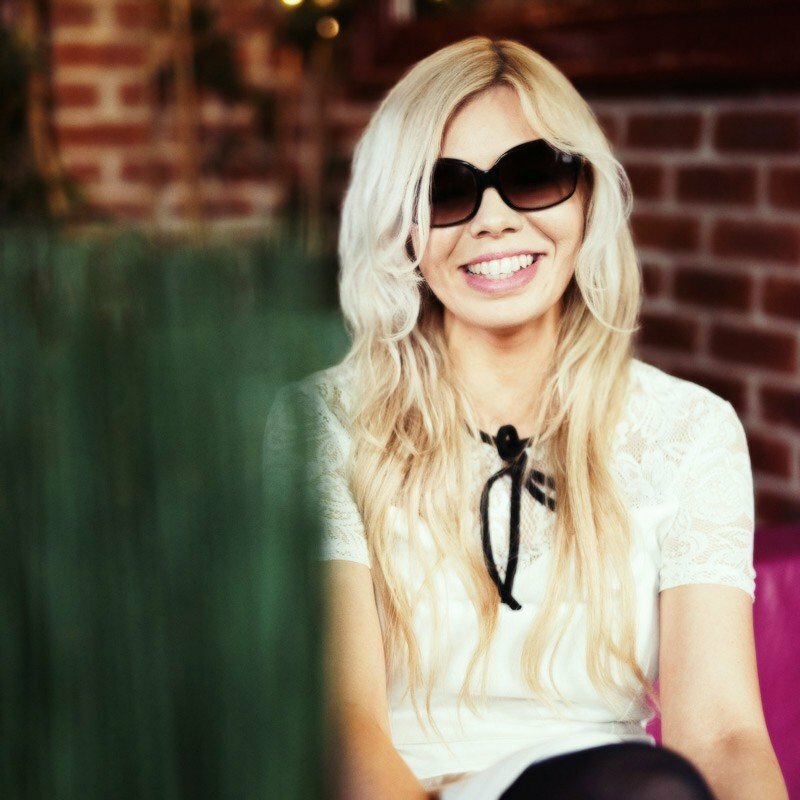 Thinking positively to make one of my dreams come true, that of visiting the UK. YES I WILL. The Lake District is without a doubt an absolute gem and we visit every year. We leave every time with fantastic memories and great photos too! These photos are AMAZING by the way! I am lookin’ forward to experence the beauty of London… This place really looks stunning! 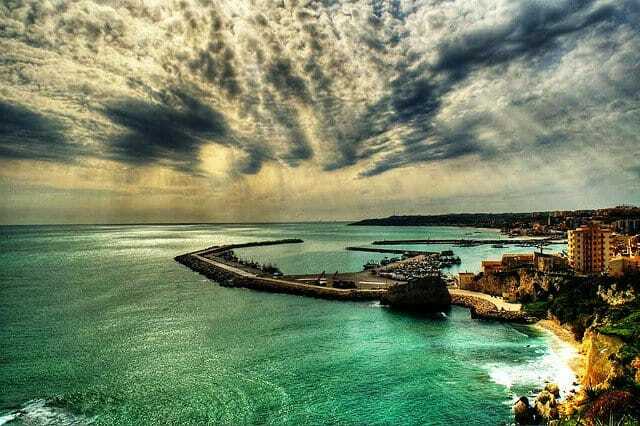 wish to be there soon! Thanks for the great article and your “London for travel snobs” article! We’ll be going to the UK for 2 months and hope to see as much as we can when we’re not working. 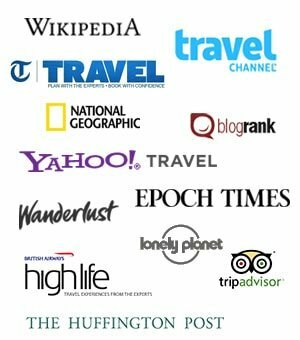 Please check out our travel blog if you get a chance, I’d love to exchange links! Giant’s Causeway is simply stunning. Very windy! I love the legends around it about the Irish giant who outsmarted the Scottish one! 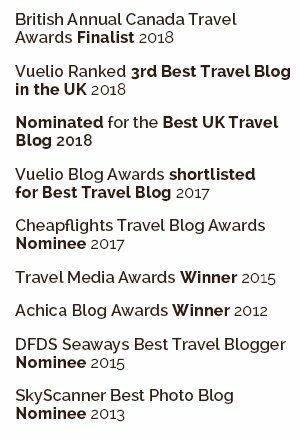 I was surprised to see Little Venice on the list – I thought it was a little known gem! 🙂 Very beautiful indeed! To get new friends and sharing everything. I lived in Little Venice for 28 years. A beautiful location. I could see part of the canal that ran through Maid Vale from my home. I often go back to visit friends. Fantastic photographs. Fantastic shots – my favourite two, are I guess ones that mean the most to me – Hope Valley in Derbyshire and Wast Water at Cumbria. I have to say that I always find Wast Water a chilling eerie place to visit and once did a sun-rise walk there – only the weather was so bad that there was no visible sun!! Did nothing to take away the shivers that the place gives me! However it is one of my husband’s favourite places in the Lakes. Agree with Patsy, the pictures make me want to go and check these places out!! Thanks for making this wonderful list! Oh wow I love this post Becky, and what a great checklist for me of “places to go next!” Thanks for sharing! and they are just as beautiful as the pictures.